Deutschmann Automation has been working in the sector of automation engineering for 36 years, having become known with electronic cam controls in the early eighties. The company has been working in the sector of industrial communication for 23 years, developing and manufacturing products for communication with field buses and Industrial Ethernet. Their UNIGATE Series of products covers single-chip solutions for integration in your own electronic circuitry, DIN rail gateways from serial port to the field buses and Industrial Ethernet, besides gateways for linking various field buses and Industrial Ethernet among themselves. The bus range includes CANopen, DeviceNet, PROFIBUS, Interbus, LonWorks, Modbus-RTU, MPI as well as Powerlink, EtherNet/IP, Ethercat, PROFINET and Modbus TCP/IP. 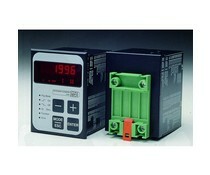 Locon 16 from Deutschmann is a cam-control with 16 outputs and panel mount. 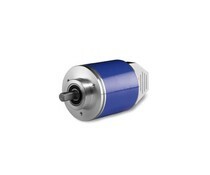 The Deutschmann Rotarnock is an encoder with integrated cam-control with 16 outputs.